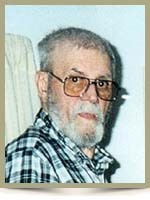 Rhyno, Royce Stanley, 81, of Bridgewater, passed away Suddenly at home on Friday, March 23, 2012. Born in Charleston, Queens County, he was son of the late Charles and Odessa (Frances) Rhyno. Royce was a veteran of the Korean War. He was a member of the Royal Canadian Legion, Branch #24, Bridgewater. He is survived by his wife Marie; daughters Patricia Rhyno (Steve Cook), Belinda (John) Northcott; son Garfield Rhyno; grandchildren Jason, Adam, Josh, Jeffrey, Johnanne, Jessie, Tyler, Ron Kevin Candace; great grandchildren Ben, Isabella, Sebastian, August, Alexandria; Step daughter Rosalie (George) Townsend; step sons Jeffery (Mary) Roy, Bobby (Janet) Roy; step grandchildren Anne, Billy, Tanya, David, Rod, Ryan, Minka; step great grandchildren Lucas, Morgan, Dylan, Brandon, Kristan, Ethan, Skye, Allie; step brothers George, Lawrence and Ivan. He was predeceased by a daughter Dona; sons Richard, James; sister Irene; brothers Victor, Genis, Dentin; step brothers Donald, Fred, Gary, Ernie. so sorry to hear the loss of royce.our thoughts and prayers are with you all.god bless you all. pops i will miss you..rest in peace dad..
Royce’s presence is sorely missed here at the Tops’l. There were very few days we did not have the pleasure of his company. To Marie and his family our heart felt condolences. R.I.P Mr Rhyno We are here for yous Lynn and Pat and Garf friends for-ever love you all !!!! Sad we cant come see you Gramps!! We are very upset to lose you and to not be there for you and the Rhyno family. I will carry the RHYNO name further through the days with my son Ben. We will be RHYNO forever! MARIE & FAMILY ,SO SORRY FOR YOUR LOSS .THINKING OF YOU AT THIS SAD TIME. the best gift god gave me is you dad..i will miss you so much, not a day will go by that i will forget the times we shared..i will carry the rhyno name with me for ever…love you pops..your youngest daughter belinda…r.i.p. Marie and family, so sorry for your loss. My thoughts and prayers are with you at this sad time. so sorry to hear about your father Lynn. He was a good man and he loved you and your sister Pat & Garf very much. I will remember him fondly. Royce was a good man . Take comfort in your memories of him and comfort in the fact that someday you shall all meet again. But until that day comes …. know that there are friend out there sending you all our love ! I would like to express my sincerest condolences to the family of the late Royce Stanley Rhyno. In reading the Obituaries in the March 27 edition of the Chronicle Herald, I was saddened to hear of his passing. My name is Nam Ki, Lee. I am the CEO of DSME Trenton Ltd., which is producing Wind Turbine components here in Nova Scotia. I was born in Korea. I noticed Mr. Rhyno was a veteran of the Korean War. I hold dear to my heart all Veterans and the contributions and sacrifices they made for our country. Again, please accept my heartfelt condolences on your recent loss.